The financial crisis of the past two years finally demolished the utopian fantasies of market fundamentalists. There is still much that needs to be digested about “what went wrong,” both in terms of what caused the crisis and the larger theoretical fallacies of neoliberal economics and policy. 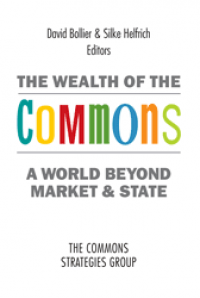 Happily, Raj Patel’s new book does a terrific job of explaining the latter and in sketching out the great potential of the commons. The Value of Nothing: How to Reshape Market Society and Redefine Democracy is a spirited, well-written account of how economists, philosophers and corporations came to create the “free market” ideology that now dominates our political culture. 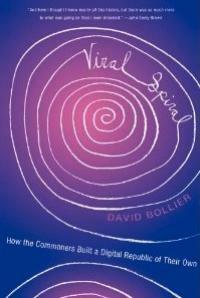 It is also a meditation on the value of the commons as a domain of value that has gone unnoticed and unprotected for too long. Patel, a visiting scholar at UC Berkeley and a long-time food activist, is that rare thinker who is well-versed in economic history and political philosophy as well as a wide range of activist movements such as free software, food sovereignty and shackdwelling in South Africa. 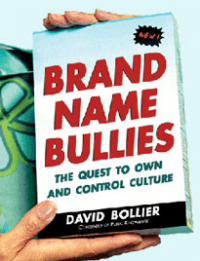 The book’s title comes from Oscar Wilde’s famous quip, “Nowadays people know the price of everything and the value of nothing.” It’s an apt summary of the problem of market culture today. We have become so acclimating to equating price with value that we have lost the capacity, even the vocabulary, for talking about value that cannot be expressed in money. 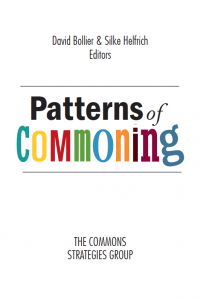 This is one reason that the commons remains invisible: we don’t have a vocabulary for naming the value generated by the commons — value that is indispensable to our communities, our personal lives and to life itself. There are no price tags associated with a clean atmosphere or clean Gulf of Mexico. Can price ever capture the value of having access to a great public library, a beautiful local park or your favorite online social communities? As Patel explains, part of the problem is the orthodox theories of value that have come down to us from Adam Smith and John Locke, with modern-day distortions introduced by the Chicago School of Economics and other cheerleaders of unfettered markets. The resources that are extracted from the Earth are typically seen as “free for the taking,” but for the labor and technology costs associated with removing them. Yet what is the true cost of leaving massive voids in the earth where oil once was, or displacing mountain tops into valleys and streams in the quest for coal? Prices simply ignore such “externalities.” “Exchange value,” as expressed through market prices, nearly always reigns supreme. The very idea of intrinsic value is perplexing to economists and politicians — and in truth, to many of us, who have internalized many of the progressive cultural assumptions about markets and technology. Market ideology can’t get its mind around the idea that it is inherently important to prevent species from going extinct, or that our inherited gene pool should not simply become the feedstock for new biological “products.” After all, that’s what the price system tells us. Value is best measured through market capitalization, higher profits and higher Gross Domestic Product. Cordoning off large swaths of nature and social life from market exploitation is seen as impeding “progress.” Preserving a large public domain and fostering sharing is seen as undercutting the revenue streams of large media corporations. In writing that is informed by serious scholarship but illustrated with many popular examples, Patel deconstructs the standard claptrap taught in Economics 101. He explains, for example, how the corporate form unleashes an anti-social force upon the public. Corporations have all the legal entitlements of individuals, but few of the responsibilities. They are “insatiable artificial people” whose power, left unchecked, will devour much of what we hold dear: the global atmosphere, the Gulf of Mexico, our genetic inheritance. The proposal of any new law or regulation of commerce which comes from this order [capitalists], ought always to be listened to with great precaution, and ought never to be adopted till after having been long and carefully examined, not only with the most scrupulous, but with the most suspicious attention. It comes from an order of men, whose interest is never exactly the same with that of the public, who have generally an interest to deceive and even to oppress the public, and who accordingly have, upon many occasions, both deceived and oppressed it. Funny, I haven’t heard the Wall Street Journal or Alan Greenspan quote this side of Adam Smith. 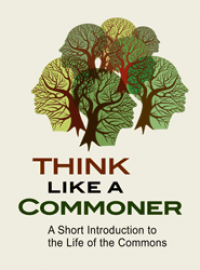 One of Patel’s chapters, “We Are All Commoners,” provides a nice introduction to the commons as an emerging political movement. 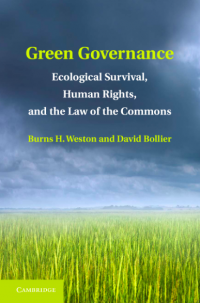 Patel introduces the problems with Garrett Hardin’s “tragedy of the commons” fable, the role of the commoners in forging the Magna Carta and Charter of the Forest, and the enclosure movement that swept Europe — as well as numerous commons-based systems that can manage natural resources sustainably.